Lets hear it for Tony LaRussa & the St. Louis Cardinals for winning the World Series over GW Bush's Texas Rangers!!! Robalini's Commentary: WINNING! 6-2 week and a 14-8 three-week run. Incidentally, am I the only one who, while seeing the scuffle between Jim Harbaugh and Jim Schwartz after the 49ers-Lions game, thought of a pitch for the next buddy comedy starring Will Ferrell and John C. Reilly? There are two kinds of people in the world: people who think Tim Tebow has the intangibles to be a potentially great winning NFL QB, and those who think he just can't translate his college successes to the pros. Count me in the former category. Tebow proved yet again that he is a winner at heart in his off-the-bench near comeback against the Chargers two weeks ago, and now, well-rested after a week off, the Broncos have a virtual home game in Florida Tebow-land against a demoralized Miami team that seems more interested in winning the Andrew Luck sweepstakes than any game they play. And you're giving me 2 1/2 points on top of that? Dude, I'm there!!! Grind up some ochre, melt some bone-marrow fat, mix the lot with a splash of urine – and paint your body with it. It sounds like an avant-garde performance but it may have happened some 100,000 years ago, in the oldest known artist's workshop – a cave in South Africa. The complex pigments that humans mixed there, and the tools they used to do it, are revealing just how cunning some of our earliest ancestors were. The purpose of the paint is unknown, but the researchers who discovered the workshop at the Blombos cave on South Africa's southern coast think it was most likely applied to skin for decoration or ritual, or perhaps even as an insect repellent. Inside the cave, Christopher Henshilwood of the University of the Witwatersrand in Johannesburg, South Africa, and his team found tools and two abalone shells that were used for mixing and storing the paint. Alongside one of them were quartzite stones used to hammer and grind ochre to a powder, and animal bones used to stir the powder with other materials, which included bone, charcoal, quartz fragments and other stones. They also discovered evidence that some of the bones had been heated, probably to melt fat from the marrow that would have then bound the minerals. "There were also quartzite fragments to cement it, mixed with a liquid, probably urine," says Henshilwood. The whole lot survived together in one place because after the cave was abandoned it filled with wind-blown sand, sealing the cache as a "time capsule", says Henshilwood. Whatever our ancestors did with their paint, the simple fact that they were mixing minerals to prepare it 100,000 years ago is in itself a major discovery, and tells us something about our ancestors' cognitive abilities at the time. For instance, Henshilwood points out that this is the first known use of containers from that time. What's more, the artists would have had to collect ochre and other materials with the specific purpose of making paint in mind – a sign that they were planners – and needed a "basic knowledge of chemistry". "It's quite simply stunning, first-rate work, and unambiguously dated," says Paul Pettitt, an anthropologist at the University of Sheffield, UK. "What takes this into the stratosphere is the degree of organisation, of intent and of industry," he says. "It's highly thought out, and repeated, so this is a systematic production of paint." Pettitt says that the earliest unambiguous art was made around 35,000 years ago, in the Chauvet caves of south-east France, and the earliest evidence of ochre pigment production dates from 60,000 years ago. The new Blombos find, however, shows that early humans were capable both of organised activity and of creatively making and using pigments much earlier than we knew before. Abominable Snowman "Close to Being Caught"
They have long been thought to be merely the stuff of legend. 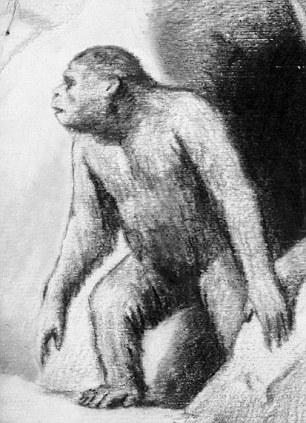 But Russian officials say they have found ‘indisputable evidence’ that yetis exist – and are living in Siberia. The bold claim follows an international conference and expedition to track down the Abominable Snowman in the Mount Shoria area. However, doubt has already been cast on the ‘find’ – as the team has no convincing photographic or DNA evidence. Their claim appears to be based on bent branches, a single unclear footprint and a small sample of grey ‘hair’, found in a cave. The administration of the Kemerovo region, where the cave is situated, yesterday announced that ‘indisputable evidence’ had been found. Is this finally proof the Yeti exists? "Looking up at the moon, its surface appears painted with shades of grey — at least to the human eye," Mark Robinson, of Arizona State University, said in a statement. "The maria appear reddish in some places and blue in others. Although subtle, these color variations tell us important things about the chemistry and evolution of the lunar surface. They indicate the titanium and iron abundance, as well as the maturity of a lunar soil." A good memory is essential for any aspiring actress struggling with her lines. But in the case of Marilu Henner - a Broadway star who rose to fame in the 1970s sitcom Taxi - her memory isn’t just good, it’s incredible. For her, the past is simply unforgettable. Give her any date from the past 40 years and she can instantly tell you the day of the week, what she was wearing, what the weather was like and what was on TV. If that isn’t impressive enough, the 59-year-old Hollywood star, who most recently appeared on British TV screens in Celebrity Apprentice, can even recall with complete clarity events that happened when she was just 18 months old. Marilu Henner is one of a handful of people with a rare condition called hyperthymesia, or ‘superior autobiographical memory’ - the ability to remember everything that happened on every day of their lives. Their cases don’t just highlight the incredible power of the mind. They are also shaking some of the basic understanding about the nature of memory and what the limits of the brain really are. Henner regards her supercharged memory as a gift. Her earliest memory is playing with her older brother in her family’s Chicago home aged one and a half. This has stunned scientists, who had assumed that it was virtually impossible to recall events before the age of two. And that’s just the start. Most people can remember about 250 faces during a lifetime: Henner remembers thousands. It is impossible for most of us to imagine what it is like to have a memory of every single day. She describes sifting through memories as ‘looking for a scene on a DVD before me. A giant sea monster, the likes of the mythological kraken, may have swum Earth's ancient oceans, snagging what was thought to be the sea's top predators — school bus-size ichthyosaurs with fearsome teeth. 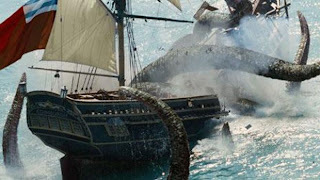 The kraken, which would've been nearly 100 feet (30 meters) long, or twice the size of the colossal squid, Mesonychoteuthis, likely drowned or broke the necks of the ichthyosaurs before dragging the corpses to its lair, akin to an octopus's midden, according to study researcher Mark McMenamin, a paleontologist at Mount Holyoke College in Massachusetts. There is no direct evidence for the beast, though McMenamin suggests that's because it was soft-bodied and didn't stand the test of time; even so, to make a firm case for its existence one would want to find more direct evidence. McMenamin is scheduled to present his work Monday (Oct. 10) at the annual meeting of the Geological Society of America in Minneapolis. Mark McMenamin, a paleontologist at Mount Holyoke College in Massachusetts was interested in solving a long-standing puzzle over the cause of death of the S. popularis individuals at the Berlin-Ichthyosaur State Park in Nevada. An expert on the site, Charles Lewis Camp of U.C. Berkeley, suggested in the 1950s that the ichthyosaurs succumbed to an accidental stranding or a toxic plankton bloom. However, nobody has been able to prove the beasts died in shallow water, and recent work on the rocks around the fossils suggests they died in a deepwater environment, McMenamin said. "I was aware that anytime there is controversy about depth, there is probably something interesting going on," McMenamin said. And when he and his daughter arrived at the park, they were struck by the remains' strangeness, particularly "a very odd configuration of bones." A giant sea monster, the likes of the mythological kraken, may have taken out ichthyosaurs the size of school buses, arranging their vertebrae in curious linear patterns with nearly geometric patterns. "We think that this cephalopod in the Triassic was doing the same thing," McMenamin said. More supporting evidence: There were many more broken ribs seen in the shonisaur fossils than would seem accidental, as well as evidence of twisted necks. "It was either drowning them or breaking their necks," McMenamin said. So where did this kraken go? Since octopuses are mostly soft-bodied they don't fossilize well and scientists wouldn't expect to find their remains from so long ago. Only their beaks, or mouthparts, are hard and the chances of those being preserved nearby are very low, according to the researchers. Though his case is circumstantial, and likely to draw skepticism from other scientists, McMenamin said: "We're ready for this. We have a very good case." You don't have to be a Jedi to make things move with your mind. "The first thing is to clear your mind…to think of nothing," says Ed Jellard; a young man with the quirky title of senior inventor. We are standing in a testing room at IBM's Emerging Technologies lab in Winchester, England. Admittedly, the system needed a fair bit of pre-training to achieve this single task. But it has, nonetheless, learned to associate a specific thought pattern with a particular movement. The headset, which was developed by Australian company Emotiv for the games industry, has been around for some time. But it is only now that companies such as IBM are beginning to harness the wealth of data that it can provide. Using software developed in-house, researchers have linked the Emotiv to devices such as a model car, a light switch and a television. Control signals come from two main sources; electroencephalography (EEG) measurements of brain activity, and readings of nerve impulses as they travel outwards to the muscles. New techniques for processing such information are enabling sophisticated real world applications. Already the team has used the system to help a patient with locked-in syndrome, whose healthy, active mind became trapped in a motionless body following a stroke. "We linked the headset to the IBM middleware, and when he pushed the cube on the screen, that behaved like a click of the mouse - so he was able to use the computer," explained IBM's Kevin Brown. Many commercial mind control technologies are designed to restore physical ability to those who have lost it. At Switzerland's Ecole Polytechnique Federale de Lausanne (EPFL), researchers have applied brain-computer interface technology to create thought-controlled wheelchairs and telepresence robots. "A disabled patient who can't move can instead navigate such a robot around his house to participate in the social life of the family," explains the team leader, Professor Jose del Millan. "To do that, a helmet detects the intention of some physical movement and translates it into action." 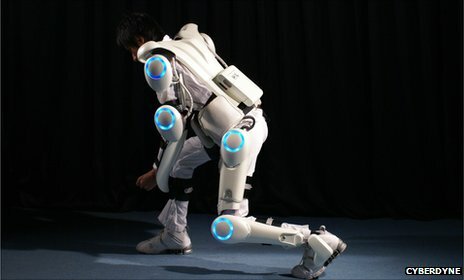 Japanese company Cyberdyne is helping people who cannot walk to regain mobility by dressing them in a full-body robotic suit called Hal. Just as some of IBM's readings come from nerve impulses, rather than brain waves, Cyberdyne uses tiny sensors on the limbs to measure the subject's intention to move, even if the physical act is impossible. The robot body responds by moving its arms or legs. Webcams and computer screens enabling the user to pilot their machine and communicate with friends and family through their proxy body. Outside the healthcare field, another implementation, being developed by EPFL in partnership with car maker Nissan, is an intelligent vehicle that can use brainwave data. Supported by numerous external sensors and cameras, brain wave sensors read what the driver is planning to do next. Having anticipated their intentions, the car takes over, eliminating the need for tedious and time consuming physical movement. For those who prefer pedal power, Toyota is working with Saatchi & Saatchi, Parlee Cycles and DeepLocal to develop a bicycle which can shift gear based on its rider's thoughts. Headsets and helmets offer cheap, easy-to-use ways of tapping into the mind. But there are other, more invasive techniques being developed. Subjects still have to be physically "plugged" into a computer via cables coming out of their heads, in a setup reminiscent of the film The Matrix. However, the team is now working on miniaturising the chips and making them wireless. BrainGate is developing ways of using the output to control a computer cursor, on-screen keyboard, and even manipulate robotic arms. After testing it on monkeys, the scientists have now started human trials. Lead researcher Prof John Donoghue hopes that one day, his groundbreaking research will help people with spinal cord injuries or locked-in syndrome to walk again just by thinking of moving their limbs. But extracting information from the brain, be it by internal or external sensors, is only part of the story. Much of the current research effort is looking at how to efficiently process and utilise the vast streams of data that the brain produces. Turning analogue thoughts into digital information links human beings directly to electronic information networks, such as the internet. The brain becomes becomes yet another sensor to be analysed and interrogated. And as techniques for crunching that output get more sophisticated, the technology it drives will move beyond simple device control. "People like data," said IBM's Ed Jellard. "So if you can see patterns of data, the geekier people will be very interested to see what is going on in their brain and how it is changing over time. "I would be interest to know if my brain is getting stronger and if I have more intense thoughts. Things like that could be useful." While it is possible to translate brain waves into machine processable data, there remains something unique and special about those signals that rocket around inside our skulls. 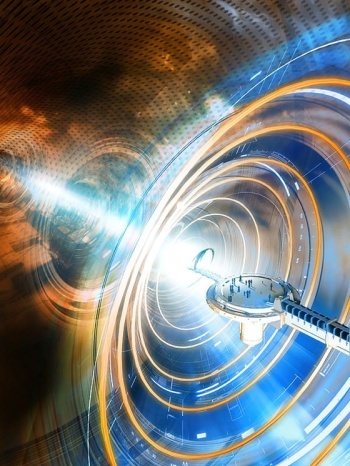 They are not the same as lasers in a fibre optic cable or electrons in a microprocessor, and tapping the mind will raise philosophical and ethical questions, according to Prof Noel Sharkey. "Once the military get a hold of it, they will push it very hard," he explains. "At the moment they are filling the airspace in Afghanistan with drones that only one person can control - but if they get the helmets well enough developed, they'll be able to control a number of planes or robot warriors directly with their thoughts." There are also questions about what form cyber crime would take in the age of the wired mind? "Imagine some kind of a wireless computer device in your head that you'll use for mind control - what if people hacked into that, what could they do to you and your property?," continues Prof Sharkey. "And what if you are forced to wear a device and someone controls you with his thoughts, making you do things?..." The possibilities, both positive and negative, are literally mind boggling. Who is Marvin B. Pohlman? An American scientist, Marvin B. Pohlman is a man of many talents—and a very busy man. According to his bio he's the Director of Governance, Risk and Compliance product strategy for a major Bay area enterprise software company. Despite the demands of his career, he's also managed to author three text books on IT governance and security. 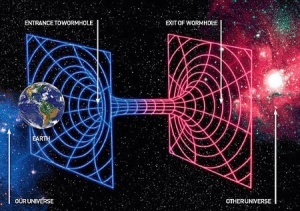 In whatever spare time such a man has left, he found enough of it to invent a time machine. At first glance, such a thing might be too fantastic a notion to believe, yet Pohlman does hold a Bachelor of Science in Engineering Physics, an MBA from Lexington Business School, and a PhD in computer science from Trinity University. He's also a member of Portland Mensa, and is a Licensed Professional Engineer, Certified Information Systems Auditor, Certified Information Security Manager and Certified Information Systems security professional. Perhaps he invented the time machine because he discovered he hasn't enough time to squeeze in everything he wants to accomplish? Regardless of why he invented it, he has. 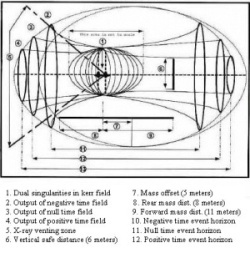 "The method employs sinusoidal oscillations of electrical bombardment on the surface of one Kerr type singularity in close proximity to a second Kerr type singularity in such a method to take advantage of the Lense-Thirring effect, to simulate the effect of two point masses on nearly radial orbits in a 2+1 dimensional anti-de Sitter space resulting in creation of circular timelike geodesics conforming to the van Stockum under the Van Den Broeck modification of the Alcubierre geometry (Van Den Broeck 1999) permitting topology change from one spacelike boundary to the other in accordance with Geroch's theorem (Geroch 1967) resulting in a method for the formation of Godel-type geodesically complete spacetime envelopes complete with closed timelike curves." What you're looking at may not last much longer in full public view. If the finished product works the U.S. military will grab it, wipe all references to it, and plunge it into another one of their deep, dark black projects. Have you played Farmville? Then you already know the work of Mark Pincus, the CEO and co-founder of a San Francisco start-up called Zynga that has made a killing with Facebook apps. According to an SEC filing, about 232 million people play Zynga games routinely. This past summer, the Wall Street Journal valued the five-year-old company at a hefty $15 billion to $20 billion. Pincus is a social marketing genius with a broad smile, bright ideas and plenty of charisma. Fake has a long history of innovation -- her entrepreneurial record in Silicon Valley is legendary. She helped launch the site Flickr.com in 2004, which paved the wave for other Web 2.0 services that allow user contributions, tagging (to make images easier to find) and discussion over content. (The site was sold to Yahoo! in 2005. Her latest project, called Hunch.com, goes a step further, allowing users to share their preferences and create an on-going recommendation system for books, movies, or just about anything you can find on the Web. Mark Zuckerberg has the same golden aura and visionary outlook of Jobs. The CEO and co-founder of Facebook said during a recent Facebook tech conference that his company stands at “the intersection of technology and social issues,” so he’s prone to make grand statements. His main contribution is building what's become a second Internet of sorts, a safe and mostly secure haven for storing your digital life: photos, conversations, news and more. The company is steadily closing in on 1 billion users on the network -- all of this, and the guy is only 27. Born a year after Steve Jobs, in 1956, Jon Rubenstein worked at Apple up until 2006. According to Rob Enderle, a consumer analyst, Rubenstein was being groomed to replace Steve Jobs. He even has the same knack for creating a “reality distortion field” at product launches. Rubenstein helped create the original iPod but eventually left Apple for Palm. His efforts to create a new smartphone interface called WebOS fell flat: the company was eventually sold to HP. Still, there’s signs he will rise to prominence from within HP as a tech executive. Named one of the 50 most powerful woman by Fortune Magazine, Marissa Meyer has a bright tech future. A vice president at Google, this well-liked visionary is also the “face” of the company: She's said to have created the basic building blocks for the Google.com and Gmail interfaces. Meyer is well-spoken, chats easily with press and has a upbeat personality. The inventor of the Segway, Kamen has the bright spark of the entrepreneur about him. And he's clearly got "that vision thing": When he invents something, it takes a while for people to realize how innovative it is. The Segway is still an uncommon sight on sidewalks, but lately he has worked with science foundations for kids, invented alternative engines and founded a research institute. The co-founders of Google have a youthful exuberance about technology and a penchant for inventing products everyone uses. Even the mission statement at Google is far-reaching: to organize the world's information and make it universally accessible and useful. Charles King, an IT analyst at PUND-IT, says the two founders did more than just create a search engine -- they invented (or at least popularized) the idea of using the Web for data processing and storage. Here’s a name you might not know, unless you've read his best-selling book about entrepreneurship, "Delivering Happiness." In the book, the founder of Zappos.com -- a shoe retailer now owned by Amazon -- makes a case for pleasing customers by making a company all about customer service. Hseih’s greatest gift is in communicating ideas, something that served Steve Jobs well throughout his career. A wild card pick, Michael Dell is a successful entrepreneur and visionary who started Dell in 1984. He’s older than Zuckerberg, who was born in 1984, and his contributions in tech have more to do with enterprise computing (the servers that run in a company), IT services (helping a business run efficiently) and direct marketing to consumers. His time may finally come now that HP has pulled out of the PC business. Setting up shop in a garage may sound like a cliché, but did you know that a number of thriving American businesses really got their start that way? One of the most famous examples is, of course, Apple Inc., founded in 1976 by Steve Jobs, who died Wednesday at age 56, and his friend Steve Wozniak. Find out about their brainchild and other major companies that trace their roots to humble birthplaces. On April Fool’s Day in 1976, 21-year-old Steve Jobs and 25-year-old Steve Wozniak established Apple Computer, later known simply as Apple Inc. Pioneers in the burgeoning world of personal computers, the pair worked out of Jobs’ parents’ garage in Los Altos, California, in the heart of Silicon Valley. Jobs, a college dropout, became one of the great innovators of the digital age, transforming not just his original field but also music, animation and mobile communications. He died at 56 on October 5, 2011, after a long struggle with cancer. 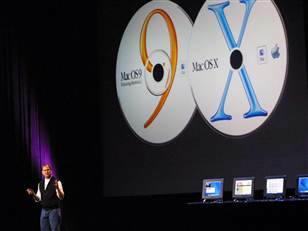 Apple’s notable products include the Macintosh computer line, the iPod, the iPhone, the iPad, iTunes, the Mac OS X operating system and Final Cut Studio. Considered the first American technology business to launch behind a garage door, Hewlett-Packard was founded in 1939 by Bill Hewlett and David Packard, who had scraped together an initial capital investment of $538. At the time, Packard and his new wife Lucile lived in an apartment next door and Hewlett camped out in a shed on the property, located in Palo Alto, California. After developing a range of electronic products, the company entered the computer market in 1966 and is now one of the world’s largest technology corporations. The one-car garage where it all began is a designated California historic landmark and is listed on the National Register of Historic Places. In 1923, the Missouri-born cartoonist Walt Disney moved to Los Angeles with his brother Roy to make short films that combined animation and live action. They spent several months producing their first series, the “Alice Comedies,” out of their uncle Robert’s garage before relocating to the back of a realty office and finally to a studio. Now the world’s largest media conglomerate, the Walt Disney Company became a leader in film, television, travel, leisure, music and publishing. In 2006, it acquired Pixar Studios from another veteran of a California garage: Steve Jobs, co-founder of Apple Computer. Robert Disney’s garage was saved from demolition in 1984 and donated to the Stanley Ranch Museum. When Ruth and Elliot Handler, who had met in an industrial design course, started making picture frames in their California garage, they probably never thought their venture—Mattel—would grow into the world’s biggest toy manufacturer. More or less by accident, they wound up crafting dollhouse furniture and later children’s playthings out of spare wood scraps. In the late 1950s, Ruth determined there was a market for dolls that looked like “grown-ups”; ignoring her husband’s objections, she designed a prototype and named it after their daughter, Barbie. (Ken, named for their son, followed soon after.) Mattel struck gold with the new line, and in 1968 Ruth became the company’s president. Long after Hewlett-Packard and Apple Computer made their unpretentious debuts, another technology powerhouse came screeching out of a Silicon Valley garage. After developing a groundbreaking search engine for a research project, Stanford University students Larry Page and Sergey Brin founded Google in a garage owned by Susan Wojcicki, a friend and future employee. The company, which has since branched out into numerous other areas, now runs the most visited websites on the Internet and boasts locations around the world. In 2006, Google bought Wojcicki’s house—and the garage where its vast empire began. In 1969, 17-year-old Michael Kittredge of South Hadley, Massachusetts, couldn’t dig up enough cash to buy his mother a Christmas present. On a whim, he melted down some crayons in his parents’ garage and made her a scented candle. When neighbors began expressing interest, Kittredge, who needed a hobby since his rock band had just broken up, recruited some friends and began churning out candles. By the following year, the booming business had taken over the Kittredge home, so the young entrepreneurs moved into a dilapidated mill. Today, the Yankee Candle Company is the leading U.S. candle manufacturer, with hundreds of retail locations, international distribution and multiple product lines. 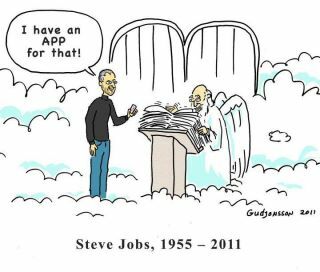 Apple co-founder Steve Jobs died on Wednesday, but he left behind a legacy full of iconic products. We've rounded up some of the most significant ones for you — along with a little bit of their history. The Mac OS X title encompasses a series of operating systems released by Apple under code names including Cheetah, Puma, Jaguar, Panther, Tiger, Leopard, Snow Leopard, and Lion. Mac OS X 10.0 — better known as Cheetah — was made publicly available in March 2001. The latest version of the popular operating system series, Mac OS X Lion, was released in July 2011. The NeXT computer was packaged in a one-foot cube-shaped case and introduced in 1988, after Jobs had been removed from Apple. It was a high-end workstation which — despite not winning over many customers — is noted as being the system on which the first Web browser was written. It is also worth mentioning that the world's first Internet-connected server was supposedly a NeXT system. Recognizable by its iconic beige all-in-one case, the Macintosh 128K is the first member of the Macintosh family of personal computers. 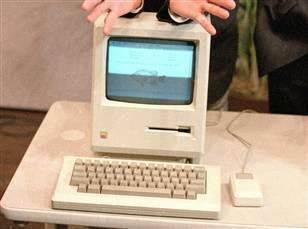 It was released in January 1984 — with a dramatic Super Bowl commercial — and touted a $2,500 price tag (which was considered quite reasonable when it came to personal computers at that time). The original Macintosh 128K would be discontinued in October 1985, but its lineage continued on — with models including the Macintosh 512K, the PowerBook Duo, the Power Macintosh, the PowerBook G3, the iMac, the Power Mac G4, the iBook, the Mac Mini, the MacBook, the MacBook Pro, the MacBook Air, and many more models in-between and after. The MacBook Air was described as the "world's thinnest notebook" during its January 2008 introduction. And that was no joke — the device was an unprecedented 0.16-inches at its thinnest point. Steve Jobs presented it by pulling it out of a manila envelope. Initially Apple would only offer a 13.3-inch MacBook Air model, but in October 2010, an 11.6-inch version was announced. The MacBook Air managed to squeeze a full-sized keyboard and display into a powerful little package which included 1.6 GHz or 1.8 GHz Intel Core 2 Duo processor (which would in later years be replaced by Intel Core i5 and Core i7 dual-core processors). It's worth noting that — like all of Apple's notebooks since the original MacBook Pro — the MacBook Air incorporates Apple's MagSafe —a proprietary magnetically-attached power connector system. The Apple Lisa was a personal computer introduced in the early 1980s. Its name is supposedly either an acronym for "Local Integrated Software Architecture" or a nod to Steve Jobs' first daughter, Lisa Jobs. While it wasn't exactly a bestseller — it is rumored that thousands of unsold units were sent to a landfill — the computer is noted for its significance in computing history. 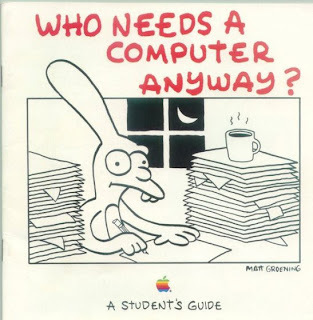 It was considered to be superior to what was coming out of the Macintosh project at that time and included a tight integration between hardware and software. Oh, and a built-in screensaver, which was uncommon at the time. Apple introduced the iTunes digital jukebox software in January 2001, a few months before the uveiling of the first-generation iPod. Two years later the company announced the opening of the iTunes Music Store, a place where over 200,000 songs could be purchased for 99 cents each. In October 2005, the iTunes Store would expand to include TV shows and music videos. In September 2006, it would begin offering full-length movie downloads and by January 2008 movie rentals would be available thanks to arrangements with all major film studios. As of October 2011, Apple has sold over 15 billion songs through the iTunes Store. When it introduced the iPod in October 2001, Apple advertised that the portable media player is a way to carry "1,000 songs in your pocket." Since then, the company has introduced — and retired — several members of the iPod product family including the iPod Mini, iPod Nano, iPod Shuffle, and iPod Touch. Each new model has offered significantly more storage capacity than the original 5GB device. 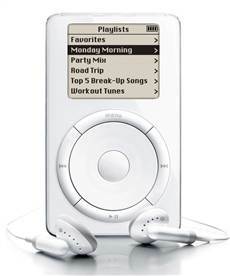 As of October 2011, Apple has sold over 320 million iPod devices and deemed it the "world's most popular music player." 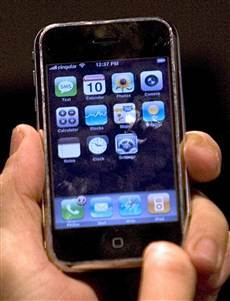 In January 2007, Apple unveiled the iPhone. It described the gadget as "combining three products — a revolutionary mobile phone, a widescreen iPod with touch controls and a breakthrough Internet communications device with desktop-class email, Web browsing, searching and maps — into one small and lightweight handheld device." The iPhone ran Apple's very own mobile operating system, which has since been dubbed iOS. The phone was initially offered in the U.S. exclusively by cellular provider AT&T. Since the first-generation iPhone, Apple has introduced the iPhone 3G, the iPhone 3GS, the iPhone 4 and — most recently — the iPhone 4S. At this point the mobile devices are available on three major U.S. carriers — AT&T, Verizon, and Sprint — as well as a number of international cellular providers. When he stepped onto a stage to show off the iPad for the very first time in January 2010, Steve Jobs described the device as something "magical and revolutionary." The 9.7-inch slate-like gadget offered a high-resolution multi-touch display, Apple's A4 system-on-a-chip processor and an impressive 10-hour battery. The device was offered in a Wi-Fi-only as well as in a 3G-enabled version. 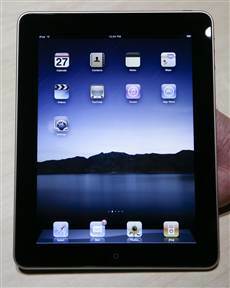 The next generation tablet, the iPad 2, was announced in March 2011. It was thinner, lighter and faster than the original device — and included front- and back-facing cameras for use with Apple's FaceTime video chat and Photo Booth apps. Apple's iMac line of desktop computers includes several models introduced since 1998 — from the brightly colored iMac G3 all-in-one to the lamp-shaped iMac G4 to the slender iMac G5 to the latest aluminum unibody model. The iMac line has seen a great deal of change since the first iMac G3, which was a 233-MHz CRT unit. The most recent model comes in 21.5- and 27-inch flat-panel versions and advertises processor speeds of up to 2.93 GHz. The Apple II series of computers is considered among the first successful mass-produced personal computers. The first model was introduced in June 1977 and the line withered off in November 1993. This particular line of PCs was significant as it was competitively priced and as a result made its way into many households, businesses, and educational institutions. To this day, there are individuals who use Apple II applications on either carefully maintained systems — which are considered collectors' items — or by relying on emulator software. Great writing?! Perhaps you mean fictional writing straight from somebody's imagination?? This is just another example of some prick (Ryan Gawker -- one of the biggest pricks around) spouting his mouth off about fictional stuff and pretending that it's true. Ryan Gawker is a fictional hack of writer, right up there with the best of them like L. Ron Hubbard. Censored 2012: The Sourcebook for the Media Revolution, The Top Censored Stories and Media Analysis of 2010-2011 by Mickey Huff and Project Censored. In this volume, there are 500 pages of real news you can use, plus ample analysis that eradicates civil paralysis, and antidotes to our current Truth Emergency that will strengthen societal media literacy. Help celebrate the 35th year of the oldest media research organization in the US by donating $35 for a signed copy of Censored 2012, or simply pick up a copy for yourself, friends, or a local library or school for only $19.95 each ($22.95 w/shipping). 12. Pacific Garbage Dump — Did You Really Think Your Plastic Was Being Recycled? 219 pages of commentary on the nexus between parapolitics and popular culture by Steamshovel Press editor Kenn Thomas. Includes first hand accounts of Elvis Presley's funeral; the last of the great Beat writer conferences; and never before published commentary by JFK Secret Service agent Abraham Bolden on famed researcher Sherman Skolnick. Now available only on CD, as PDF, and through US Mail. $15 post paid to Kenn Thomas, POB 210553, St. Louis, MO 63121. New Steamshovel Press DVDs now available! Television appearances discussing the bug bombs of Korea, JFK Jr., Jimmy Hoffa, Marilyn Monroe; and the parapresidency. Includes footage of the late Jim Keith, author of Saucers of the Illuminati and Mind Control/World Control. ALSO: a rare interview with Christ Conspiracy author Acharya S and paranormalist writer Skylaire Alfvegren’s appearance on the unaired TV pilot, Conspiracy Zone discussing the moon hoax. Steamshovel editor’s television appearances and lecture footage, including a news report on the UFO he witnessed at Area 51; a roundtable discussion from the Fox network on the JFK assassination, the Y2K affair, global surveillance and conspiracy theory; lectures on the Maury Island UFO and UFO researcher deaths; and the Octopus. Please supply an e-mail address if ordering PDFs sent via internet. Otherwise, a CD will be sent. NOTE: Steamshovel Press back issues 4 through 23 are available for $10 each. Photocopies will be supplied when actual issues are no longer available. The following is another chapter from my disinformation book, 50 Things You’re Not Supposed to Know: Volume 2, published in 2004. For more on me go to The Memory Hole or follow me @RussKick on Twitter. The strange thing is, that’s not too much off the mark, only the truth is even weirder. The Lord does indeed have a name, kind of like Andrew or Beth or José. This is straight out of the King James Version. God reveals “his” own name: Jealous. In the original Hebrew, the key words in this verse are shem and qanna’. According to one of the standard reference works in this area — A Concise Dictionary of the Words in the Hebrew Bible by James Strongs — shem is a noun meaning “name.” One of its specific denotations is “the Name (as designation of God).” The word qanna’ means “jealous” and is applied only to God. But if you’re going to accept the Bible, then you have to accept it when God reveals his own name, no matter how odd or silly. May Jealous have mercy on my soul. God’s Name. Various translations of the Bible. A Concise Dictionary of the Words in the Hebrew Bible by James Strongs. Price: $9.95 & eligible for FREE Super Saver Shipping on orders over $25. Ever feel like you’re being kept in the dark? Do you feel like the facts and history you rely on might not be the truth, the whole truth and nothing but? 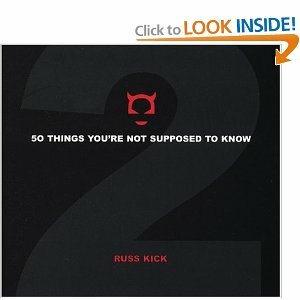 Sized for quick reference, filled with facts, illustrations, and graphic evidence of lies and misrepresentations, 50 Things You’re Not Supposed to Know—Volume 2 presents the vital, often omitted details on human health hazards, government lies, and secret history and warfare excised from your schoolbooks and nightly news reports. Almost two decades in the writing, with full-time research covering three continents, British author and film maker CHRIS EVERARD presents in this large format, fully illustrated book the secret history of the Royal-Political elite in the ancient world. STONE AGE PSYCHEDELIA is no hashed-together off-the-cuff book full of uncorroborated wild claims - every statement is backed up with archaeological evidence, maps, diagrams, documents and photos. Chris Everard's quest begins in Egypt, examining carvings which are more than 2,000 years old, showing erectile serpents and humanoid figures with the heads of toads, and tails like monkeys - these strange humanoid-amphibians are depicted alongside Egyptian priests, taking part in ceremonies... They hold and offer up to the deity small bowls... What is in these bowls? The answer is: Hallucinogens - A Bowl of Potions made from ancient plants and fungi which transform the chemistry of the Human Brain, expanding latent psychic abilities such as Telepathy. This book is the first to present evidence that the Pharaohs of ancient Egypt traded Cocaine and Tobacco with the pre-OLMEC civilisation of Mexico, Guetemala and Belize. These rituals and the ingestion of these hallucinogens was a secret reserved for the Royal-Political Elite, enabling TELEPATHIC communion with the Godhead. 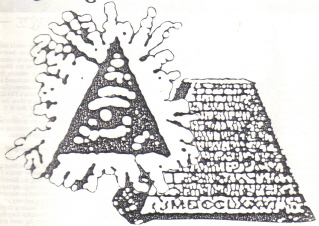 This book is the result of a seventeen year long quest - delving deep into the Creation Myths of Egypt, and meetings with high level Magicians, Druids, Satanists, Freemasons, Astronomers & Archaeoloists. STONE AGE PSYCHEDELIA begins it's voyage in the Neanderthal caves of northern Iraq, where ancient people cultivated a hallucinogenic-herb-garden. We also discover the use of PERGAMON HARMALA amongst the Magi mentioned in the Holy Bible and it's sister analogue DMT plants such as AYAHUASCA in Central and South America. 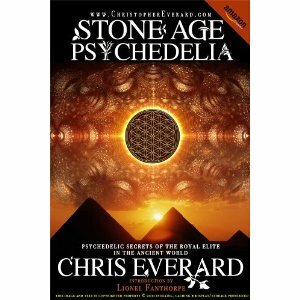 CHRIS EVERARD also describes in STONE AGE PSYCHEDELIA the psychotropic herbs and plants used by witches, warlocks and black magicians for the invocation of demons described in ancient Arabic and Hebrew texts... And also the MUSHROOM CULTS of the Indus Valley and Palestine which inspired Gnosticism and the first Christian sects. THE KNIGHTS TEMPLAR, King SOLOMON, The Queen's Beasts and many other secret covens are described with particular reference of how they brewed potions and used psycho-active ungents and ointments to change their blood chemistry and 'fly' to the sabbats and celebrations of the black masses in Medieval Europe. Uniquely, CHRIS EVERARD describes the EXACT telepathic effects of many of these ancient plants in terms of religious awakening and minutely describes the Amphibian-Humanoids, 'Snake-People' and Jaguar-Headed Gods of the Mayans and European Celts. This book takes you deep into the Landscape of the Mind and describes how to voyage through the Astral Realms, controlling the effects of these psychotropic substances, in order to discover the Godhead. Fully illustrated with full colour 16 page chapter, plus black and white illustrations throughout, NEARLY 300 PAGES - STONE AGE PSYCHEDELIA is the most complete secret history of the Royal-Political Elite ever published. STONE AGE PSYCHEDELIA contains 300 Pages of previously unpublished research. This book is NOT a compilation of previously published articles - STONE AGE PSYCHEDELIA is 100% Fresh research. Wondering if science could explain how he survived his 40-year avalanche of drugs and alcohol, Ozzy Osbourne became one of a handful of people in the world to have his entire DNA mapped in 2010. 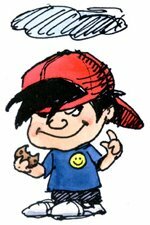 It was a highly complex, $65,000 process, but the results were conclusive: Ozzy is a genetic anomaly. The "Full Ozzy Genome" contained variants that scientists had never before encountered and the findings were presented at the prestigious TEDMED Conference in San Diego-making headlines around the world. The procedure was in part sponsored by The Sunday Times of London, which had already caused an international fururoe by appointing Ozzy Osbourne its star health advice columnist. The newpaper argued that Ozzy's mutliple near-death experiences, 40-year history of drug abuse, and extreme hypocondria qualified him more than any other for the job. The column was an overnight hit, being quickly picked up by Rolling Stone to give it a global audience of millions. 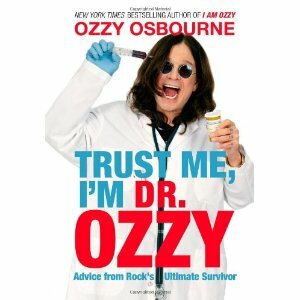 In TRUST ME, I'M DR. OZZY, Ozzy answers reader's questions with his outrageous wit and surprising wisdom, digging deep into his past to tell the memoir-style survival stories never published before-and offer guidance that no sane human being should follow. Part humor, part memoir, and part bad advice, TRUST ME, I'M DR. OZZY will include some of the best material from his published columns, answers to celebrities' medical questions, charts, sidebars, and more. Any doubts that time and age have somehow diminished the passion that fueled his track and field career are dispelled with the publication of “The John Carlos Story,” written with Dave Zirin and published by Haymarket Books. Those who thought they knew Carlos as a brash New Yorker may be surprised by some of his more personal recollections, including having an early obsession with swimming across the English Channel and having Fred Astaire as a childhood hero. Carlos says Astaire would show up outside the Savoy Ballroom in Harlem in “top hat, tails, shoes and cane,” watch Carlos and his young friends perform dance and acrobatic routines and then reward them with silver dollars. And there are the poignant admissions that he was embarrassingly dyslexic as a grade-schooler (“in those days they didn’t call you dyslexic, they called you dummy”) and that he “didn’t care a lick if I won the gold, silver and bronze” in the 200-meter final in Mexico (he won the bronze behind Smith and Peter Norman, an Australian). It is that after-race for which Carlos is most remembered. 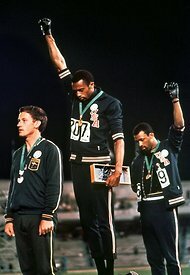 Carlos and Smith bowed their heads while the national anthem played, raising their fists to protest treatment of blacks in America. As a result, they were told to leave the Olympic Village. The positive reception that Carlos says he is receiving on his book tour is far different from the bitterness and news media backlash that affected Smith’s and Carlos’s lives after Mexico, and different also from the way their relationship with each other evolved. Carlos’s first wife, Kim, whom he married while still in high school, committed suicide in 1977, four years after they split up, an event that led him into depression and still haunts him, he says. Smith’s autobiography, “Silent Gesture,” written with David Steele, was published in 2007 and fractured Carlos’s relationship with him until they were reunited in Mexico City for a 40th-anniversary ESPN special. “I understand Tommie a lot better now in terms of who he is, his attitude and his views,” Carlos said. Carlos will appear at the Rosenthal Pavilion in New York University’s Kimmel Center on Wednesday night with his co-author, Zirin, and the writer and commentator Cornel West. Now remarried and working as a guidance counselor at Palm Springs High School in California, Carlos offers his own prescriptions for success and survival. Don’t run from the moment, he tells students; in return, he says, they teach him how to stay young. Price: $30.36 & this item ships for FREE with Super Saver Shipping. "The top photography book of 2008." "One of the 25 best holiday gift books"
"This book should be a staple in every Angeleno's home because as the years pass, it will serve as a historical reference of Los Angeles at the turn of the century." "A journey through Los Angeles in all its guises, states of mind, and urban terrains, a narrative in words and documentary photography format that is every bit as engaging as any novel . . . one of the strongest statements about man's dark fate in the West ever committed to paper." 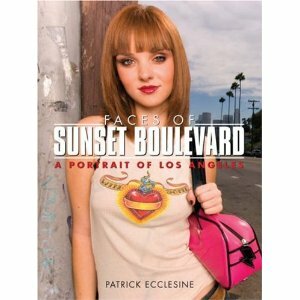 Faces of Sunset Boulevard: A Portrait of Los Angeles is a collection of photographs of the people who live, work, play, and shape Los Angeles. Some are making fortunes along the route; others are just trying to survive to see another day. Patrick Ecclesine captures the city’s dreams, dreamers, and, at times, nightmares using the most famous boulevard in the world as the setting for his photographs. 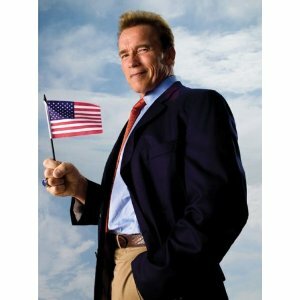 The individuals featured range from the famous (Governor Schwarzenegger, Larry King, Fernando Valenzuela) to the unknown (a street vendor, an undocumented worker, a bus driver) to the unwanted (a homeless man, a single mother on welfare, a drug addict). Other archetypal Angeleno figures—from a television weathergirl sensation to a Beverly Hills plastic surgeon to surfers in Pacific Palisades to the eccentric and outlandish denizens of the Sunset Strip—stand side by side in these pages, capturing the eclectic nature of the City of Angels and its most colorful thoroughfare, Sunset Boulevard. Patrick Ecclesine is a commercial photographer whose images for DreamWorks, Fox, Warner Brothers, TNT, TBS, CNN, CBS, and CW have appeared in newspapers, magazines, and on billboards and bus benches around the world. He currently lives in his hometown, Hollywood, just around the corner from the street on which he was born—Sunset Boulevard. Price: $17.85 & eligible for FREE Super Saver Shipping on orders over $25. Robalini's Review: Sensationalized excerpts of this book were released by Sports Illustrated, which is a shame, for they don't give this book it's due. This is no tabloid tale, but rather a complex, nuanced biography about a football legend who died a heroic but shattered man. In a way, this book isn't just about Payton, nor is it about football. It is a microview of America, for better and worse: how a black man in a crudely segregated area became a unifying star thanks to his athletic prowess, then became a rich man and national icon due to his talents, only to become crippled in pain by the game he gave so much to and leading to an early, painful death. Payton was not perfect, but you will come away empathizing with him and wondering if all his rewards were worth the sacrifices. At five feet ten inches tall, running back Walter Peyton was not the largest player in the NFL, but he developed a larger-than-life reputation for his strength, speed, and grit. 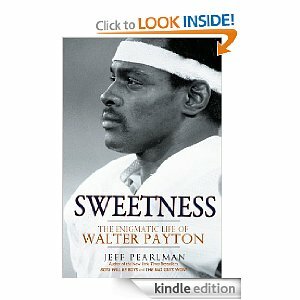 Nicknamed Sweetness" during his college football days, he became the NFL's all-time leader in rushing and all-purpose yards, capturing the hearts of fans in his adopted Chicago. Jeff Pearlman is the author of four previous books, including two New York Times bestsellers-The Bad Guys Won! and Boys Will Be Boys. He is a columnist for SI.com, as well as a contributor to the Wall Street Journal. 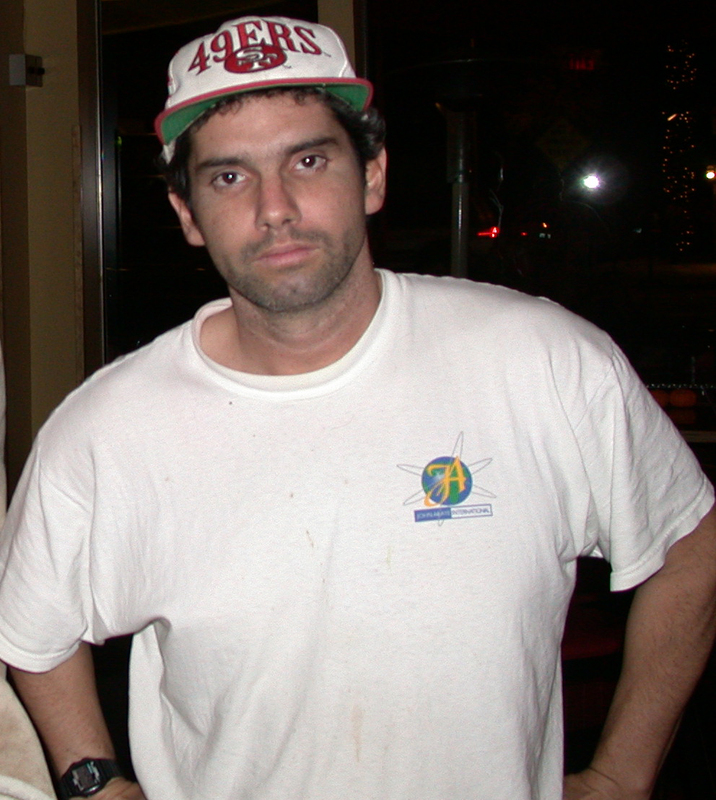 He blogs regularly at jeffpearlman.com. Pearlman and his family live in New York. Are You A Conspiracy Geek? Could there be another Earth?